"Frasier" is another of those that I think has aged very well (though some episodes from the latter seasons have diminishing returns but still better than some of what's out now) and I've enjoyed having some of the DVDs since I've heard some lines and seen some scenes I hadn't seen in years or remembered since they were edited out for syndication. A solid comedy is one I can re-watch and still laugh at the jokes. Shows that went for humor and not trying to show how "clever" they were (when they really weren't) have longevity. I remember Jason Bateman saying the same thing. Paraphrased: "half the country is doing their dishes while they watch TV, and you're missing half the jokes in Arrested Development if you're doing dishes while you watch it." It didn't come off as condescending or anything, just him stating the reality of the audience, and that they didn't make a show that would appeal to tens of millions of viewers on network TV. I had also been thinking about this same topic recently. I came to a different theory, though yours sounds quite reasonable. My realization is that in the best sitcoms, every character relates to true human behavior, so that viewers can relate to each character. I realized this while binging through all 9 seasons of Seinfeld last summer. I could see parts of George, Kramer, and Jerry in myself. Same goes for Big Bang. Although someone like Sheldon is too much of an exaggeration in real life, I've been like him at times, and I see myself in Howard, Raj, etc. I could apply the same to Friends and Frasier. It seems that's that key for any sitcom. Each character has to represent some part of real, relateable human behavior, but blown into comedic proportions. I'll be very interested to see how "Mom" does in syndication. Its subject matter (mother and daughter recovering from substance abuse) isn't the most comforting, and at times it can get a bit dark for some audiences. But the acting and writing are solid, the closest Chuck Lorre has come to a Norman Lear-type series. No, it won't be a "Big Bang"-style powerhouse, but properly handled, it can find its niche. It's an interesting theory and one that, upon reflection, makes sense: multi-cams are largely dialogue-driven while single cams have a visual element (which is why I tend to prefer single cams). But that doesn't explain one thing: Last Man Standing is not funny. Big Bang.....Cheers.....Friends.....Frazier.....MASH.....Barney Miller and my personal favorite WINGS. Maybe THE funniest comedy EVER was Police Squad. It failed in its original run.....and would have BOMBED in syndication.....because you had to WATCH ever second of it. You couldn't just listen while doing something else. You had to pay attention. And in the 21st century.....who wants to do that? Leslie Nielsen once made nearly the same point as you did when he was interviewed about his short-lived sitcom "Police Squad!" He'd been told by an ABC exec that the show's problem was that the show's pacing and gags were so rapid-fire, you had to pay too much attention to it. Whereas, you can sort of "half-watch" "The Golden Girls" while you're fixing dinner or attending to other things. I would have said that (1) those shows doing great in syndication were always really good shows. There are often many reason why they don't shine in season, and a lot of it has to do with network idiocy. They don't seem to recognize a good thing and prefer trendy, micro-market targeted shows. But shows in syndication, well they tend to have a broader appeal, don't they? They'll appeal to multiple generations because they are just fun shows. LMS is a good example, actually. I like it a lot because it really is an old fashioned family sitcom. But it sort of floats on Friday night by itself, between the news and the annoying Dr. Ken (love the rest of the cast, but he's terrible ... and yet he has a show, so that gives weight to my idiot network theory). Since I don't watch the shows before and after, I save LMS for On Demand viewing, or catch the older ones in syndication. If they had put the show in Wednesday with Goldbergs and Blackish, and even Speechless, it would probably kill in ratings. (2) these are shows that do have a lot of dialog, and GOOD dialog. Modern Family is great, but a lot of it is sight gags and multiple settings. I don't know about the "watch while doing something else" factor, but I think being in syndication keeps the dialog-type comedies grouped together so you don't channel hop so much. And they are comfortable. They appeal across generations. 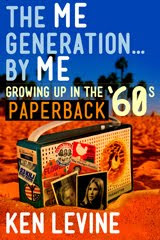 They are genuinely funny and intelligently written. There is little on tv these days that the family can watch together, so it makes syndication a natural place to turn to on rainy days. Despite it still being an Emmy staple,Modern Family took a huge nosedive in quality after the first few seasons .I would imagine a lot of it's primetime viewership is from people loyally sticking with it out of habit.Having multiple diminished quality seasons is the same reason The Office and Will & Grace have been nowhere near as succesful as they were in Primetime. 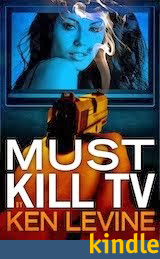 Another factor that hurts it's cable rating is the poor choice of channel.Usa's lineup mostly consists of cop procedurals,action movies and wrestling. Modern Family on Usa to a channel surfer makes as much sense as Empire on CMT or The Golden Girls on Spike TV. ON topic: Ken, I agree with you. OFF topic: I'm listening to a podcast detailing each episode of Cheers and it's just dreadful. The two podcasters just seem to feel "eh" about the show. They did Any Friend of Diane's today and thought it was just okay. Why would you do a podcast dedicated to the show and then not really enjoy the show? I worked for 15 years at a local TV station. When The Cosby Show entered syndication in 1988 or '89, we paid a boat load of money for the rights. It was this huge hit for NBC, so the reruns were expected to be huge as well. However, it was the exact opposite. It did horribly for us and many other stations across the country. I'm not sure why. The flip to that was Cheers. We put it on at 10:30 after the late news and it was through the roof. We were a CBS affiliate and when Pat Sajak started a late night show on the network, we pushed it back 30 minutes so we could keep showing Cheers and raking in that cash. We also aired The Andy Griffith Show in the afternoons with huge numbers; beating Oprah in the ratings kind of numbers. Wanted to echo Carl Andersson's point above. Shows like Modern Family that spring out of the blocks seem to maintain loyal viewership in prime time even as they decline in quality, but eyeballs peel away in syndication. It's like playing Russian roulette. If you put on Cheers or Big Bang in syndication, for example, you're most likely going to get an enjoyable episode. With Modern Family, however, chances are one of the mediocre episodes (after season 3ish) will most likely be on. As for shows that see a surge in syndication after lack luster results in prime time, it could just be the case of a good show making a bad prime time first impression or squeezed out because of bad scheduling. I have had that relationship with King of Queens. I recall not enjoying a few episodes early on in the first run and then giving up on it, only to rediscover and fall in love with it in syndication. Probably the extreme in the amount of information conveyed audibly vs visually was the old "Dragnet" series. You could turn the TV set to the wall and still follow the story through the dialog and narration. Webb and crew just added background pictures to what they had done previously as a radio show. And it lived a long time in syndication. I think you're right. Part of my job for many years has included booking guests on morning news shows (local and national). We were always told that shows like Good Morning America and the Today Show are designed so you don't have to be watching, you can easily get the gist of the show while getting ready for work, getting the kids off to school, etc., and not feel like you missed anything if you're not watching every second. I remember hearing or reading "The Odd Couple" was in danger of being canceled every year because of low ratings, but it was a huge hit in syndication. Works for me as a theory. Based on that, sadly, SUPERSTORE, which I really like, has a subtle thing going on with visual jokes in the background, where customers are to be found doing some truly odd things. I really like that, because it means you *are* rewarded for watching, but the show still has a lot of dialogue and it's up to you whether you watch the extra layer. It may also explain why THE GOOD WIFE did so poorly in syndication when they tried it - you miss half that show if you don't watch the silent communication between the characters. @ Frank Kuchno - I believe that you are correct. Seinfeld has tripled the syndication cash of Home Improvement ($3B to $1B) and they were on the air the same time and equally as popular. My 2 cents is that "Family" shows with kids probably under perform unless it's a show focused on the kids such as Brady Bunch or Full House or appeal to kids like Munsters, Batman, Addams Family or Gilligan's Island that can be rerun during in the afternoon during the after-school hours. Hmmmm Newhart + Bob Newhart Show, and the Odd Couple all without kids too. I like the theory they do well in reruns. Ken, I think you've made a very good point here. It's the listening. I remember that TV soap operas were, and are, designed not to require the rapt attention of the viewer. All you have to do is listen to them. Likewise, even after it transitioned to TV, Art Linkletter's House Party was so non-dependent on video that the soundtrack from each telecast ran, unedited, the next weekday on the CBS radio network, and it did so for fifteen years. "Although someone like Sheldon is too much of an exaggeration in real life.."
Actually, he isn't that exaggerated. If you know anyone with autism in the Asperger's part, he fits right in. But as with all characters on any show, some things are exaggerated, but talk to any therapist dealing with autism, and they are amazed on how true it rings. Also, "Becker" was a show that I discovered in syndication. During some of its initial run, I was in college and wasn't watching too much tv at the time (other than "Frasier" now and then and a few other things) but when I saw some episodes in reruns, I really enjoyed it. The writing was sharp and if I was looking away from the tv for a moment, I could still catch the jokes and laugh. I think about the only prediction you can make about syndication with complete certainty is that a hundred years from now, some station somewhere will still be showing I LOVE LUCY. Can I be a sap and say that I think the reason Friends, Cheers, Frasier, MASH and others are successful in syndication is that they are essentially about people who love each other. Not everyone and not all the time, perhaps, but I think that's their appeal. For me anyway. I feel the same way about Mike Curtis movies. Ah, so THAT explains why Fraser is such a sucess in syndicatuon, "Hello, Seattle. I'm listening." Here is a similar and yet different syndication scenarios. My family watches a lot of syndication, often the first time we watch the show is in repeats, but its still on Network TV. SCRUBS and MIKE&MOLLY are two examples. We loved SCRUBS in syndication but once we watched the whole series in totality, we don't watch it if we've seen the episode. MIKE&MOLLY we watch whenever it's on, no matter how many times we've seen the show. I'd say it's a Multi-Cam thing, but we also found THE MIDDLE in syndication, and we still like watching it even repeated times. 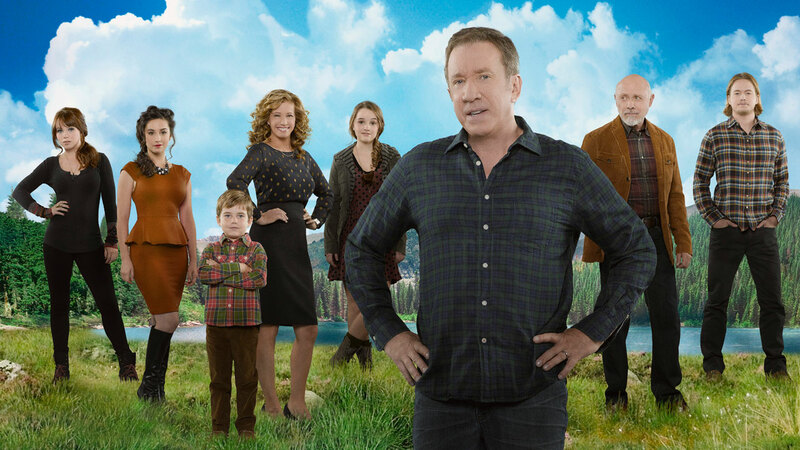 LAST Man Standing and Modern Family are two of our favorite shows, both NEW and in syndication. You could extend this to dramas, as well - prime example being STAR TREK. The original Star Trek. While the Next Generation, Deep Space Nine and so on are more lavishly produced, and in some ways superior technically, the original show is more listenable. You can walk away from it, and not miss much due to the dialogue, sound FX, and the music. MARRIED... WITH CHILDREN is also a show that was not a critical darling but that has been a syndication success for the 25 years since it first started airing daily repeats. It also benefits from being "dialogue driven," as Ken says. It also wasn't serialized or continuity heavy, which is what dooms a lot of shows. 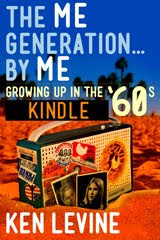 Sure, there were kids on MWC but their "type" remained the same ("dumb blonde" and "socially awkward loser") no matter their age. SEINFELD dabbled with serialized season "arcs" and "running" gags, but somehow did so without making the show impossible to follow in syndication. I'm curious as to thoughts as to how it succeeded in achieving this. Oh yes. I divide what goes on my TV into two groups: 1. Shows I can have on while I'm on the computer, and 2. Shows I must turn the computer off and WATCH. And since I'm on the computer about 80% of the time I'm awake and in this room, that means stuff that must be looked at often waits, sometimes for weeks. If I'm watching a movie for the first time, I must sit and just watch it. If I have to stop, rewind and run a scene a second (or third or more) time, because something on it required me to be looking at it, I stop it and move it to the 2. list. The thing is, I'm sufficiently addicted to the computer that nowadays, when I just sit and look at something I feel too inert, too passive, and eventually, the computer gets turned back on. So movies I haven't seen, and new episodes of shows I love can spend a long time waiting, while lesser stuff I don't have to sit and stare at, and stuff I've seen before get run right away. @Carson Clark: I don't work in TV but about that same time I was working on an acquisition of a TV station. The consultant my client hired basically said that the only contract I needed to focus on was the one for The Cosby Show, and the rest were useless. He was, as you suggest, rather wrong. 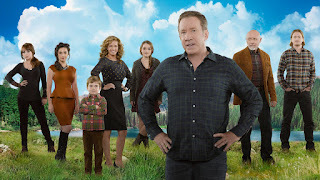 LAST MAN STANDING, along with HOME IMPROVEMENT and THE MIDDLE, are big on the Hallmark Channel...and I think I can explain that. For the primarily female audience, they like how the first two have the central male character be an idiot constantly shown up by everybody--especially females. The other has the female lead a bit stronger and in control than a not too pathetic husband. James Burrows always maintained (that you could enjoy CHEERS) just as much by listening to it. Close, but no cigar. 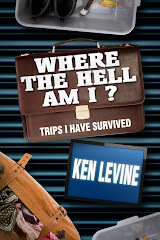 Consider that you, Ken, could have had only telephone conversation with Shelley Long, but instead met her for lunch. I'll bet the same goes for Burrows. @PaulDucca said "For the primarily female audience, they like how the first two have the central male character be an idiot constantly shown up by everybody--especially females. The other has the female lead a bit stronger and in control than a not too pathetic husband." SER: I can't speak for the Tim Allen shows, but THE MIDDLE is very much a "screwball comedy" (per Wikipedia: "a woman that dominates the relationship with the male central character, whose masculinity is challenged."). What's strange is that the "masculinity challenging" is not that prevalent in THE MIDDLE, which is actually a pretty solid respectful marriage -- MODERN FAMILY fits that description more (with all three marriages) but I find neither as engaging. Perhaps because although the Hecks are night and day in many ways, there's no sense that one partner is "overlooking" or "indulging" the almost childlike flaws of the other, which is how I feel when I watch MODERN FAMILY. This reminds me of how the "screwball" dynamic subtly changed in CHEERS. Originally, the "screwball heroine" is clearly Diane, whose entrance in the pilot upsets Sam Malone's entire world. However, in the first Rebecca episode, it's *Sam* who enters and upsets Rebecca's world (the corporate-altered CHEERS). But after a year, it feels like the writers realized that maybe the original dynamic works best -- and it's Sam who is 'reacting' to Rebecca's "craziness" (I recall him stating as much in an early 7th season episode), much like he did with Diane. Another factor that makes multi-cam shows easier to passively watch is that the acting is usually more broad than in a single-camera show. The actors are playing to the live audience as much as the camera. So they speak more loudly, like they're on stage. They have more exaggerated facial and bodily expressions, angle their bodies toward the audience, and so forth. You don't have to squint your eyes or hold your hand to your ear to understand what's going on. Seinfeld was directed so broadly, it almost seemed to take place in a heightened reality. Watch any guest star on Seinfeld who later became famous and compare it to their performance on any other show. It's like they popped a bottle of No-Doze right before the cameras rolled. @Carson Clark: The syndication underperformance of the Cosby Show is one of the great TV mysteries of all time. Why would the biggest show in television at the time -- a multi-camera comedy full of memorable scenes that stay funny after multiple viewings -- get such *meh* ratings in syndication? Ken, you are exactly right about listening. After I moved to California in 1990, I did not have a television for many years. About that time, Cheers started playing at Oakland's KTVU Channel 2 after the news. With a radio that had the TV band, I would listen to Cheers episodes I had never seen, and they were great. Had to fill in the visual details for some. In other cases, seeing the episodes years later surprised me because of the disparity. Nanny G was not as I had imagined in the mind's eye. But Cheers was always like listening to baseball on the radio. Once you knew the Cheers set, once you knew the players, the mind's eye could do the rest. I've often wondered how much of it is time slot. Network shows run in a narrow 3-hour time band in the evening and that's it. Syndicated shows run any time of day or night and potentially pull in different audiences. You may never see a prime time show because the time or day it's on is simply inconvenient; but at 10am or 3pm or midnight--that's a different thing entirely. Plus if you're watching a show that runs every day, or more-and-more often, in 2 (or even 4) episode blocks, you can get up to speed on something very quickly. I tried [b]Bernie Mac[/b] on first run and didn't like it. I caught it again in syndication and changed my mind. Seeing two episodes in a row every day for a week got me hooked. Plus, I wasn't usually watching network tv whenever Bernie Mac was first run. Its afternoon syndication time fit my schedule much better. The flip side also applies. [b]Soap[/b] is dated now but it seemed "right" at 9:30pm because of its content. I caught it on Saturday afternoons and it just doesn't seem to be a fit. But the [b]Andy Griffith[/b] show seems to work any time of day or night. At least the B&W episodes do. I remember that WKRP was one of those syndication mysteries -- it was never a runaway hit in prime time, but was a MONSTER in syndication. Always considered by the MTM brass as (comparatively) a bit of low-rent embarrassment that was not up to the standards of Mary Tyler Moore, Bob Newhart, Hill Street Blues, White Shadow, St. Elsewhere, etc. it blew them all away in syndication. By a considerable margin. I feel like I'm being dense, but I don't get your point, Jahn Gault. I don't suppose I could get you to explain it---I'm very curious. The classic British sitcom "Yes, Minister" is available as an audiotape. On occasion, there's a sight gag you don't get, but 99% of the time, the comedy comes through on the tape (particularly if you've seen enough episodes to know the main characters' stock reactions to things). Anecdotally I can confirm your theory, my wife has had "Big Bang Theory" on in her office for the past 5 years, and before that "Friends" was on for years. @jeansatzer and D. McEwan: Precisely the same for me! I'm a seamstress and jewelry maker, as well as a homemaker, and I prefer to "watch" things that are familiar enough for me to look away while I work, so anything brand new (to me) or sub-titled has to go on the "watch intently" list. Even when I sit down to watch something, I'm usually working on some hand-sewing, like sequining or beading (I do work for drag queens and burlesque dancers), so all my chop-socky is dubbed! Otherwise, I look away to pick up my scissors, and miss out on who has taken revenge on who, and why. MOST IMPORTANT. Ken, these days I need comfort not edgy and I suspect I am not the only one. That makes a lot of sense. My wife and I usually watch TV over dinner. We loved Modern Family in its early years but had to ban it over dinner. Too many visual jokes, and the pace is too hectic! By the time we looked down, scooped up a bite, and put it in our mouths, we might have missed 3 jokes! I also wanted to mention How I Met Your Mother. I loved it when it was in its original run. But now I can't really watch the reruns. The main reason for me is the horrible final episode. The creators basically ruined the entire series with that final episode because now you know how poorly it's going to end. 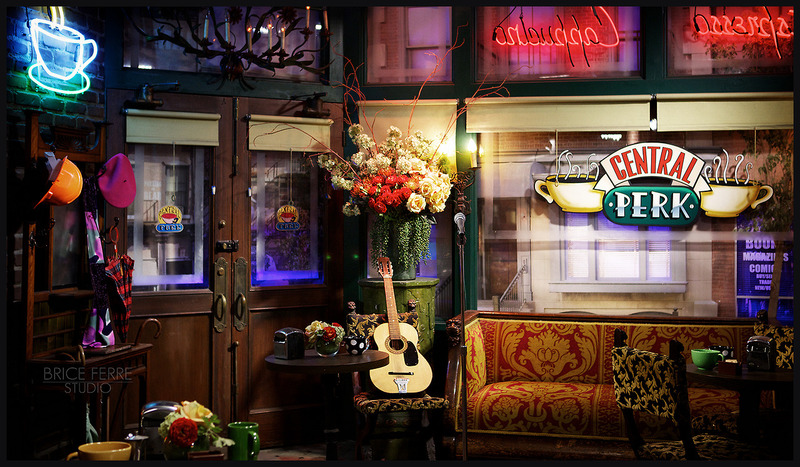 I think it matters a bit that shows like Frasier and Friends didn't change too much even though years passed. When you start to watch a random episode of Modern Family you have to get into the time period before you can concentrate on the plot. Is Lily a baby or a tween? Is Luke a cute little boy or a weird tall young man? Is Gloria pregnant? Is Manny... No wait, he's always the same. On Frasier there wasn't that much change going on. It was either one of those episodes when Niles was with Daphne or it wasn't. Friends didn't change much either. Ross and Rachel had a kid but she wasn't exactly central to the plot most of the time. I find that I enjoy reruns of Big Bang Theory less now that they're starting to get married and have kids. It was easier to keep up when they were just a group of friends. Just my 2 cents. So, what about the huge success of "I Love Lucy" in rerun? There has hardly been a sitcom since packed with as many sight gags and physical comedy. I still enjoy the show in reruns despite the absolute worst TV ending of all time. The first 3-4 seasons...and then it meandered quite a bit, much like Friends who didn't want Ross and Rachel getting together till the end making up stupid romantic story lines for them for several years (TAG?? Some 18 yr old for Ross??). @Breadbaker Several British sitcoms were made into soundtrack albums, like Fawlty Towers, The Good Life and even Monty Python. I grew up in the U.S. with Colpix Records and memorized Dennis the Menace, Top Cat, The Flintstones and Mister Ed episodes as audio. @Max Clarke I used to commute a long distance and listen to WKRP, Barney Miller, Laverne and Shirley, I Love Lucy and many others on that far end FM station that picked up the local independent station. To this day, listening to the audio of a show is unlike watching it to me, because without the visuals to dominate, suddenly the quality of the dialogue and performances shine through. Though there are some shows that I prefer watching, I just don't have the time to sit and focus on a screen all the time. I think your theory is very "sound," Ken. Remember the series "Police Squad" (before the "Naked Gun" movies)? Same thing. Funny show, but you had to WATCH it to get the jokes. Cancelled after six episodes because no one was WATCHING it. Could it be that LMS is more popular now because people want to see Jay Leno? That makes a lot of sense, Ken! I agree with your assessment. Good blog. I seem to recall James Burrows saying that he listened to rehearsals to make sure the show was working. Oh and Fraser has aged wonderfully. My favorite episode is the one with Fraser's radio play. I laugh everytime I see it.